Leaders of Britain, France and Germany say Iran deal "the best way of neutralizing the threat of a nuclear-armed Iran". The leaders of Britain, France and Germany reiterated their commitment to the Iran nuclear deal "as the best way of neutralizing the threat of a nuclear-armed Iran", Downing Street said Sunday, according to AFP. Prime Minister Theresa May talked by phone with French President Emmanuel Macron and German Chancellor Angela Merkel on Saturday and Sunday when they agreed the current deal also left out some "important elements," it said. "Our priority as an international community remained preventing Iran from developing a nuclear weapon," it said. "They agreed that there were important elements that the deal does not cover but which we need to address -- including ballistic missiles, what happens when the deal expires, and Iran's destabilizing regional activity,” continued the statement. "They committed to continue working closely together and with the US on how to tackle the range of challenges that Iran poses -- including those issues that a new deal might cover." 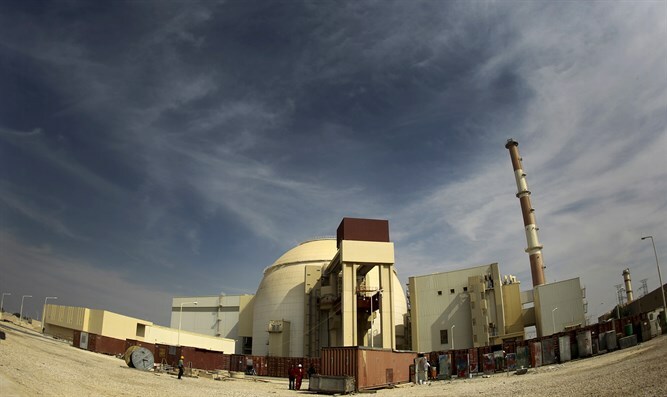 The statement comes ahead of a May 12 deadline set by U.S. President Donald Trump for Europe to fix the flaws of the 2015 Iranian nuclear deal, signed by his predecessor Barack Obama. Both Macron and Merkel held talks in Washington this week with Trump, who opposes the deal and has repeatedly threatened to quit it unless its flaws are fixed. The pair tried to sell Trump on the idea of the deal being a stepping stone to a longer-term, broader agreement, pitching a "four pillars" solution. The first column is Iran's nuclear program under the current accord. The others would target the country's nuclear activities after 2025 when so-called sunset clauses kick in, beef up global leverage against its regional influence and curtail its ballistic missile program. Iranian leaders have warned Trump not to withdraw from the deal. Last week, Iranian Foreign Minister Mohammad Javad Zarif warned the United States there would be “unpleasant” consequences if it leaves the deal.